Just because it’s cold outside doesn’t mean that vacation season is over. As a matter of fact, there are tons of Pigeon Forge winter activities that make wintertime one of the best times to plan a Smoky Mountain vacation! Check out our list of 4 activities that are perfect for the chilly season, and start planning your trip today! One of the most popular Pigeon Forge winter activities is spending a few hours exploring the Titanic Museum in Pigeon Forge. Walk through the Titanic replica, taking in the beautiful decorations and experiencing what life was like for the passengers of the cruise ship in 1912. You’ll even get the chance to touch an iceberg! This is an educational and entertaining activity for the whole family. 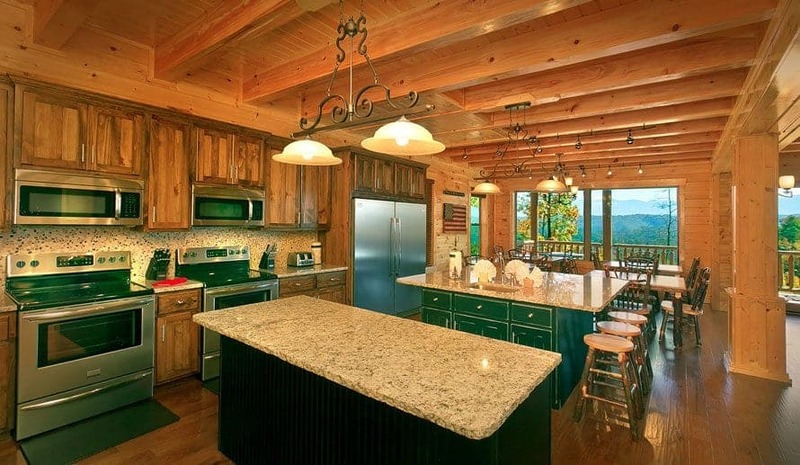 Another of our favorite Pigeon Forge winter activities is gathering your family and friends and enjoying a cozy weekend in a Pigeon Forge cabin! Our large cabin rentals are the perfect size for a few days of laughing, playing, reminiscing, storytelling and just generally having fun with a group of your favorite people! From the youngest kids to the great, great grandparents, our cabins have all the best amenities to keep everyone relaxed, entertained and having a blast. Our beautiful fireplaces will keep you cozy and warm on the chilly winter days, and the bubbling hot tub is especially nice on a cold, winter night! We promise that a few days in one of our cabins will be the winter retreat you’ve been searching for! For those of you who are 21 and up, taking a tour of the Ole Smoky Barn Moonshine Distillery is one of the Pigeon Forge winter activities that will be right up your alley! Moonshine has an old, rich history in the Smoky Mountains, and this popular distillery is the best place to learn all about it while getting the chance to sample the goods! There is also an outdoor stage which features live bluegrass music every day. Ole Smoky Barn is located within The Island in Pigeon Forge, which has lots of great food and entertainment options, so plan to make this a day-long event. Open from 10am-11pm daily, any time is a great time to enjoy a taste of the Smokies! There’s no better way to warm up on a cold day than by exploring local shops, trying on the latest fashions and giving your wallet a workout, which makes spending the day shopping one of our favorite Pigeon Forge winter activities! The Pigeon Forge Factory Outlet, otherwise known as the Red Roof Mall, is the best place to shop ’til you drop. Whether you’re shopping for a new outfit, new home decor or gifts for friends and family, you’re guaranteed to find everything you’re looking for and more! No matter which of these Pigeon Forge winter activities you choose to participate in, you’ll need a great place to stay during your time in the Smokies. Our Pigeon Forge cabins are conveniently located near all the most popular attractions, but they’re tucked back in the privacy of the mountains to give you the secluded, peaceful retreat you’ve been craving. They’re truly the best of both worlds. They’re filling up fast, so book your fun winter retreat today!